I appreciate Tas Walker’s willingness to engage my paper on the post-Flood boundary1, and for CMI’s publication of our dialogue. I wrote my paper with precisely this type of scholarly dialogue in mind. 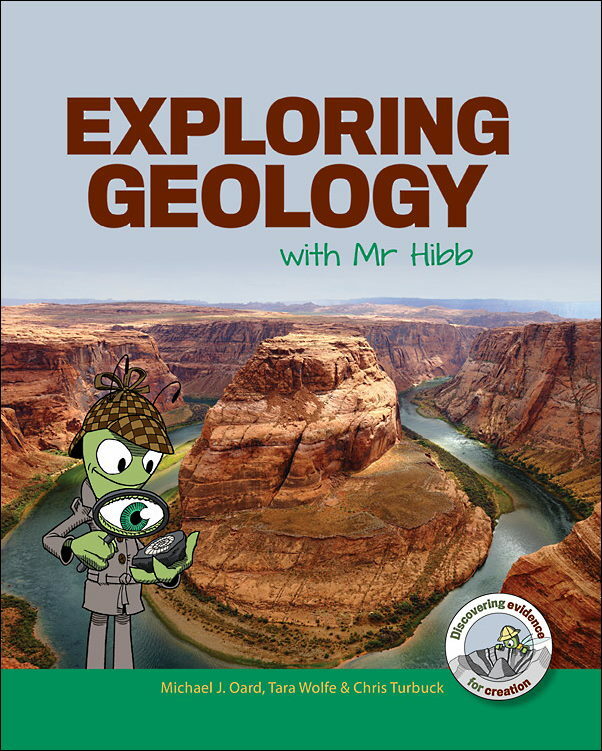 By training I am a paleontologist, by profession an educator, and this response will use real-world examples from vertebrate paleontology to address the challenges presented. For only with the Bible and data can creationists build a detailed history of God’s creation, its destruction, and subsequent replenishment. My paper presumed the accuracy of the Paleobiology Database2 and the feasibility of long-distance correlations, which Walker claims are deeply, systematically flawed. This is manifestly untrue. Regarding the database, my formal training included collecting, identifying, and curating specimens of dinosaurs, mammals, marine vertebrates, and invertebrates. My Ph.D. work involved compiling a database of over 1,800 mosasaur fossils, spending two years visiting museum collections around the world. As such, I can speak to the reliability of collection records. Among the thousands of specimens I’ve viewed, I found very few taxonomic or locality errors, and my own identifications and corrections were gratefully accepted by museum staff. The Paleobiology Database amasses these records, which are evaluated for accuracy before inclusion. It is not perfect (nothing man-made is), but it is detailed, accessible, and rigorous. Pervasive identification and reporting error does not exist, and speculations to the contrary have no basis in fact. But the database is built on the geological column, and so is biased and unusable, right? Let me lay this argument to rest with an example that combines physical geology (which Walker views highly) with biostratigraphy (which Walker views with suspicion). Five mosasaur genera are found among the sandy clay sediments of New Jersey (US), with the highest fossils located just below an erosional scar that in nearby boreholes3 preserves a layer of impact debris consisting of shocked quartz, anomalous clay deposits, and elevated iridium levels. Across the Atlantic, in the chalk deposits of Maastricht (the Netherlands), four of the same mosasaur genera are present, and the highest fossils are once again found below a layer of impact debris containing similar materials to those in New Jersey4 (figure 1). What should we conclude? That these identical geological features and fossils are unrelated? Mere coincidence? Conspiracy? I’ve personally visited both locations, observed the deposits and verified fossil identifications. The correlation of these sections is robust, based on empirical, verifiable field data, and geologists refer to them as ‘upper Cretaceous’ and ‘Maastrichtian’ due to observable patterns of fossils and rocks, not ‘hidden assumptions’ or ‘bias’. Walker affirms regional correlation6; these data confirm long-distance correlation. I raise these examples so readers can learn how correlations are actually done by geologists, and how databases are constructed. Claiming that the column is “not a physical reality” 7 isn’t just wrong, it misses the point: the column is a construct based on observable, real-world relationships. 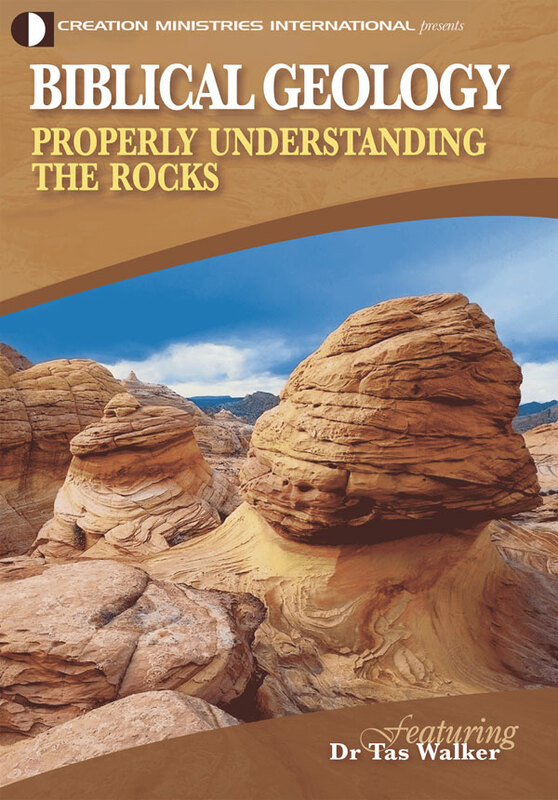 Recognizing this greatly improves our understanding of God’s creation and its history. Returning to my paper, the North American mammal fossil record is even better than the mosasaur record, involving more localities, taxa, research, and documentation. The Paleobiology Database is replete with references to the information Walker demands. If Walker insists we “consider each of the fossils in the database one by one”,7 he is free to do so for all 1.2 million occurrences. Along the way, he will discover, as I have, that the database contains a trove of useful data and only sporadic errors. Figure 1. Simplied stratigraphic sections of Maastrichtian rocks from New Jersey (USA) and Maastricht (the Netherlands) and reported mosasaur genera. Arrows note locations of impact debris (see gures 2 and 3). Figure modified from Ross and Fastovsky5. It is actually surprising that Walker takes issue with my approach, since he expressed similar expectations of the fossil record in his own model.6 When drawn at or near the Pliocene-Pleistocene boundary (analogous to Walker’s ‘late Cenozoic’, but see below), the 23% return of positively identified mammal genera back to North America strongly indicates that these sediments are post-Flood, consistent with other physical geological attributes.8 Surveying Australian9 and African10 fossils yields similar results. When tested against actual data, Walker’s own ‘natives’ criterion points to a post-Flood boundary located below these mammal-bearing Cenozoic deposits on three continents, indicating a global placement deeper in the geological record. Incidentally, Walker’s use of ‘late Cenozoic’ is incompatible with his own model, which rejects the biostratigraphy that actually defines the term! 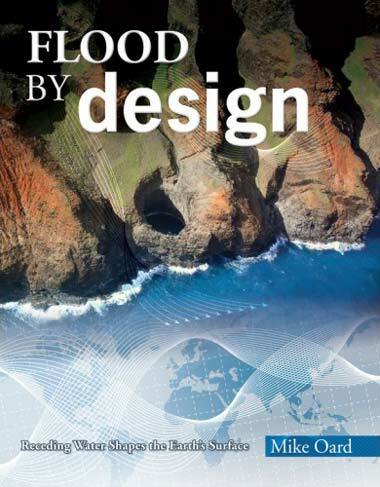 This is emblematic of the fact that Walker’s model cannot provide a global view of Noah’s Flood precisely because it discards the tools needed to connect distant geological units. 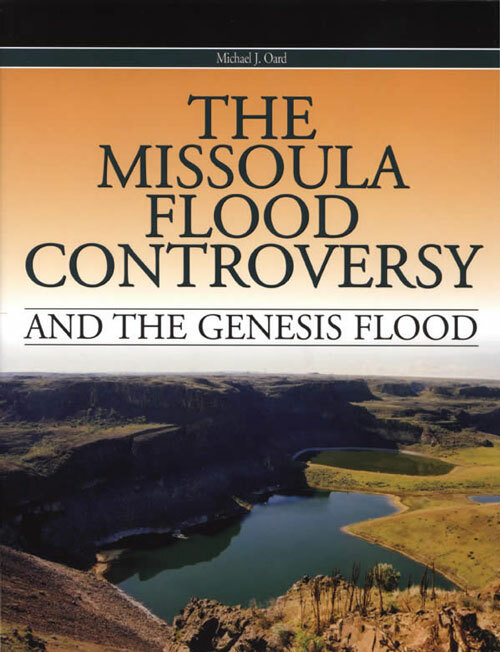 A truly biblical approach to geology recognizes the primacy of Creation Week and the Flood in geological action, and does not mistake interpretation for data. Walker’s pervasive skepticisms are unwarranted when confronted by real-world facts. We must not deny observable geological relationships or make wrong-headed assertions of error and bias, for these cannot advance our understanding. But by embracing the physical data of God’s creation as they really are, creationists are now better able to discover an accurate and reverently biblical account of earth history. Ross, M.R., Evaluating potential post-Flood boundaries with biostratigraphy— the Pliocene/Pleistocene boundary, J. Creation 26(2):82–87, 2012; creation. com/biostratigraphy-post-flood-boundary Return to text. fossilworks.org, accessed 14 January 2014. Return to text. Olsson, R.K., et al., Ejecta layer at the Cretaceous-Tertiary boundary, Bass River, New Jersey (Ocean Drilling Program Leg 174AX), Geology 25:759–762, 1997. Return to text. Smit, J. and Brinkhuis, H., The Guelhemmerberg Cretaceous/Tertiary boundary section (Maastricht area, SE Netherlands); summary of results and a scenario of events, Geology en Mijnbouw 75:283–293, 1996. Additional photographs of the K-Pg boundary sections in New Jersey and the Netherlands can be viewed in Ross response. Return to text. Ross, M.R., and Fastovsky., D.E, Trans-Atlantic correlations of upper Cretaceous marine sediments, Northeastern Geology and Environmental Science 28(1): 34-44, 2006. Return to text. Walker, T., A biblical geological model; in: Walsh, R.E. (Ed. ), Proceedings of the Third ICC, Creation Science Fellowship, Pittsburgh, PA, pp. 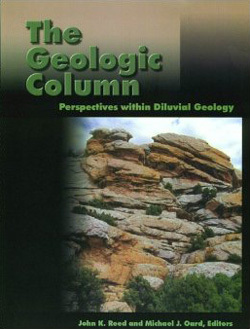 581–592, 1994; biblicalgeology.net. Return to text. Walker, T., Post-Flood boundary—a robust analysis flawed by hidden assumptions, J. Creation 28(2):23-24, 2014. Return to text. Whitmore, J.H. and Garner, P., Using suites of criteria to recognize pre-Flood, Flood, and post-Flood strata in the rock record with application to Wyoming (US); in: Snelling, A.A. (Ed. 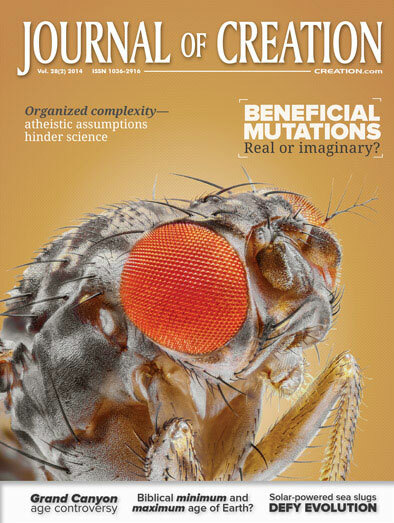 ), Proceedings of the Sixth ICC, Creation Science Fellowship and ICR, Pittsburgh, PA, pp. 425–448, 2008. Return to text. Long, J.A. et al., Prehistoric Mammals of Australia, Johns Hopkins University Press, Baltimore, MD, 2003. Return to text. Werdelin, L. and Sanders, W.J. (Eds. ), Cenozoic Mammals of Africa, University of California Press, Berkeley, CA, 2010 Return to text.